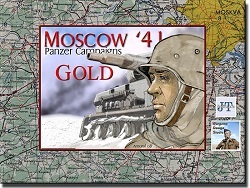 The Eastern Front battles mainly pit the German Wehrmacht against the Russian War Machine. In the early years of the assault on Russia, the Germans pretty much had there own way. Utilizing the Blitzkrieg (Lightning War) The Germans were able to destroy a large number of Russian formations and drive deep into Mother Russia. At this same time, Russia was slowly giving ground to gain time. Russia moved the majority of it's industrial strength further east into the mountains and began producing. In the later years of the war, the situation reversed itself and now it was Germany trading space for time in an attempt to survive. This is the time of the slow death of Germany. Hitler's "Stand to the last man" orders and other bad decisions would slowly destroy the Thousand Year Reich. The last great push of Operation Barbarossa began on Nov 15th, 1941 when Heeresgruppe Mitte tried to bring Operation Typhoon to a successful conclusion with the capture of Moscow. Two weeks after it was launched, it was obvious that the German forces were spent and little more could be achieved. On December 5th, 1941 aided by plummeting temperatures the Soviets launched what were first limited attacks, but quickly grew into front wide offensives that would last for close to three months. By the end of the Soviet offensives, Moscow was saved, but at what cost? 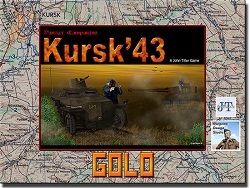 Moscow '42 is two games in one. 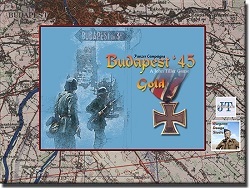 Following on from the German Operation Typhoon portrayed in Moscow '41, Moscow '42 includes the historical Soviet 1941/42 winter counter offensive that almost destroyed Heeresgruppe Mitte in front of Moscow. In addition the hypothetical Fall Kreml (Operation Kremlin in English) is included. Operation Kremlin was an extensive deception campaign that the Axis enacted to distract from Fall Blau (Operation Blue) the German 1942 summer offensive in the Ukraine and Caucasus. What if Fall Kreml was real? What if the Axis attempted to capture Moscow again using the historical forces available in the summer of 1942? 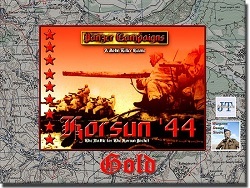 A range of campaigns & scenarios are included to allow players to investigate this historical possibility. February 2nd, 1943 was a significant day. Field Marshall Paulus surrendered the German 6th Army in the ruins of Stalingrad and Stalin launched Operation Star and Gallop, 1,000 km's to the west. This latest Soviet operation had a much more ambitious goal than those that preceded it – the complete destruction of German forces in Southern Russia and the Ukraine. Launched from the march, Voronezh & South Western Front's threw no less than 6 armies and 11 tank corps at a German line that was only just reforming after the constant retreats of the prior three months. Despite the arrival of the elite Gross Deutschland and three SS Divisions from the West, the German position was dire with a 40km gap in the line between Izyum and Slavyansk. Through this gap was pushed 1st Guards Army and the 4 tank corps of Lt General Popov's Mobile Group with orders to exploit into the rear of 1st & 4th Panzer Army's and ultimately cut their lines of communication. With the capture of Kharkov by Voronezh Front and 25th Tank Corp approaching the critical Dnepr River crossings, the Soviet Stavka thought that finally the decisive moment had come. For German Field Marshall Manstein, it was all a calculated gamble - hold tough on the shoulders and allow the Soviets to punch into thin air and then as the Soviet forces over-extended, launch a counter offensive – the Backhand Blow. So successful was Manstein's offensive that the Soviets were driven back beyond their starting lines and the front was in hiatus for three months till Kursk. 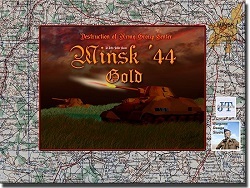 Join the swirling battles in the Ukraine from the desperate defense at Kharkov to the open steppes in the Donbas as the two protagonists fought in deep snow and mud. Can you deliver the death blow to Germany or will you celebrate the last victory in Russia? It was dawn on New Year's Day in the last year of the war. The enemies of the Reich were closing in on both the East and West Fronts. The Germans had squandered much of their last panzer reserves against the Americans at the Battle of the Bulge. In the east, the lines were holding pending the next major offensives by the Soviet juggernaut, and while Stalin continually hounded his generals to finish off the pocket of German and Hungarian troops holding Budapest, the Germans still had another offensive in them. 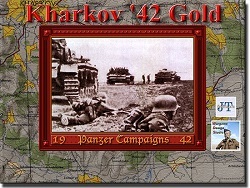 They launched Operation Konrad - an offensive that almost succeeded in relieving the surrounded troops. Can you succeed where the Germans failed? In June of 1944 Adolf Hitler was expecting the coming Soviet summer offensive to be launched against the German front line south of the Pripet Marshes. Instead, Stalin unleashed a massive attack on the very cornerstone of the German Army--Army Group Center which held a massive salient to the north. This was Operation BAGRATION, an all-out offensive to crush Army Group Center, concentrating armor, artillery and aircraft. The Red Army quickly broke through the thinly held German lines and encircled the fortified cities of Vitebsk, Orsha, Mogilev, and Bobruysk. Then the Soviet tank and mechanized formations swept on westwards towards the very heart of the Third Reich. Taken by surprise, the majority of the German Fourth and Ninth Armies were trapped between Minsk and the Berezina River. It was a catastrophic defeat, destroying 28 of 34 German divisions from Army Group Center's order of battle. So complete was the Soviet victory that five weeks later the Red Army was on the banks of the Vistula River and the borders of East Prussia. Toward the end of 1942, the German High Command saw that the tide on the East Front had reached its peak. After the setback in front of Moscow in 1941, the mighty German Army surged forward again in the summer of '42. After defeating an ill-fated Soviet summer offensive at Kharkov in May, they drove onward to the outskirts of Stalingrad by the late summer of that year. This is where the Stalingrad '42 game picks up the fight, including a number of scenarios covering the drive to the Volga. After several months of bloody house to house fighting in the fall, the Soviet positions were reduced to pockets of rubble, barely 300 meters from the Volga. As the season turned to winter, Hitler remained fixated on taking the city, ultimately leading to disaster for his troops. He had badly underestimated the Soviet army's ability to mount an offensive on his flanks. The Russians cut through weak, poorly equipped, Rumanian troops and encircled the entire Sixth Army. 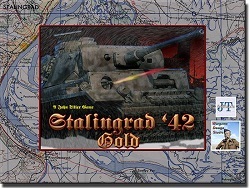 In Stalingrad '42 you can re-fight this titanic struggle, exploring both the historical situation in addition to a number of plausible "What If" situations; a German retreat, a corseted flank defense, or a powerful panzer rescue force made available had Rommel been successful at el Alamein. The German orders to capture of Moscow in October 1941 specified the use of 51 divisions, including 13 panzer divisions, to encircle the city. As the Germans closed in on the capital, the fighting got fiercer and more desperate. The delay of the German forces after Smolensk left little time for the drive to Moscow before the onset of winter. And while both German and Russian High Commands were well aware of this, nevertheless, "Operation Typhoon" went ahead as planned. The attack was costly and first bogged down in endless mud, making the roads impassable. Next, the offensive was literally "frozen in its tracks" when the harsh Soviet winter set in. The Germans were not provided with winter clothing, and their vehicles and equipment were similarly not prepared. Yet despite all this, they reached the western suburbs, barely 17 km from the Kremlin, but before they ever encircled the city Soviet reinforcements arrived. Some of these new Russian troops were Siberian divisions, equipped and trained for winter fighting. Can you capture Moscow in the face of the strengthening Red Army and the onset of the bitter Russian Winter? It's the summer of 1943 and the line has stabilized with a huge bulge in the lines. Hitler can't resist one more drive, one more push to pinch off a bulge and capture a mass of soviets troops in another pocket, like in the early years of the war. But the Russians knew that script, they knew where the Germans would strike, and they waited. Hitler wanted his new "superweapons", the Panther and the Elefant, to debut here. Consequently, the start date of early May was pushed back, and then further back, until it ended up in July. During all this time the Russians dug in, deeper and deeper, on both shoulders of the salient. By the time the attack started, there were seven defensive lines, including dug-in anti-tank strongpoints, anti-tank ditches, and millions of mines had been laid. This was to be the biggest battle of the war, if not in all of time. By the end of December 1943, with Kiev retaken by the Soviets, Hitler ordered the German Army in the bend of the Dnepr to hold at all costs. The front has stabilized somewhat and the German Army is clinging to its last toe hold on the Dnepr River that forms the Korsun Salient when the Soviets strike. Even Mother Nature gets into the act with a February thaw that turns the ground to gumbo and makes mobility the Germans rely on an impossible feat. Among the units given these desperate orders to hold are the 11th and 42nd Corps whose positions formed the large bulge in the front line. Attacking on January 24th, 1944 on both sides of the bulge, Soviet forces encircled over 60,000 German in the Korsun Pocket, - the little Stalingrad on the Dnepr. 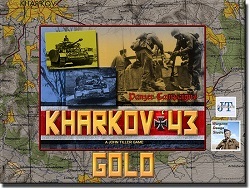 The Soviet Spring Offensive to reclaim Kharkov from the Germans in 1942 is not very well known. This battle was neither exploitation nor attrition, but a nasty combination of both. Each side took turns with mobile offensives that lead to surprising outcomes sure to challenge the serious wargamer. In the summer of 1942, Stalin planned an attack that he was certain would thwart the expected German offensive. From a bulge in the line formed by fighting that previous winter, he launched a mobile assault with armoured and cavalry forces with the goal of taking the key city of Kharkov. However, the German 6th Army had other ideas, and their panzers were poised to counterattack. In the wild melee that followed, who would prevail in that critical time of war on the Eastern Front? 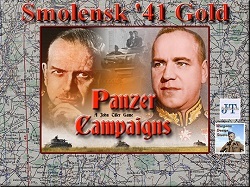 Smolensk ’41 was the first Panzer Campaigns title published and it is fitting that it is the first game to be upgraded to the new Gold standard. German operational level attack on Smolensk, the gateway to Moscow, in July 1941. This battle is one of exploitation where units race across the steppes in an effort to encircle masses of Russian troops. 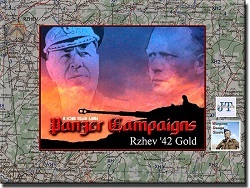 The first in the Series and still the favorite of many Panzer Campaign Players. 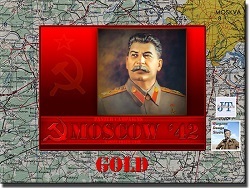 In the summer of 1941, the German invasion of the Soviet Union was sweeping over the forward defenses. As Army Group Center approached the Dnepr River, the Red Army regrouped in an attempt to hold them in the vicinity of the historic city of Smolensk. Who will win this campaign in the Russian heartland?